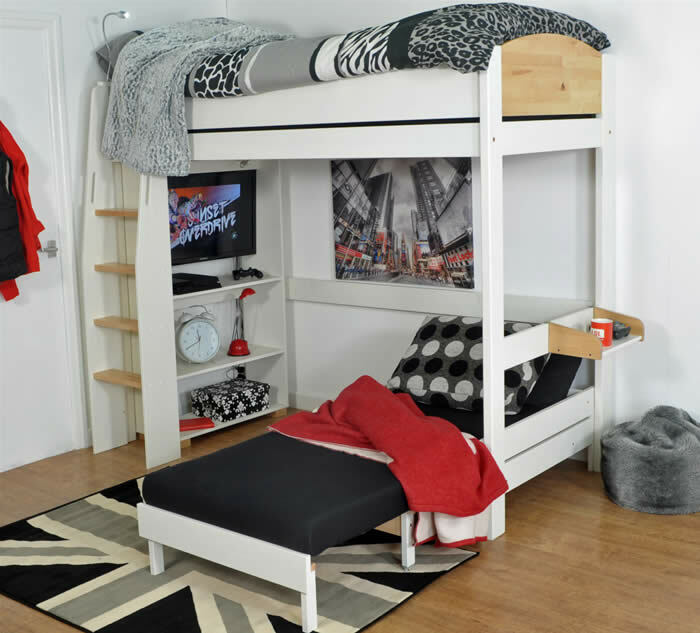 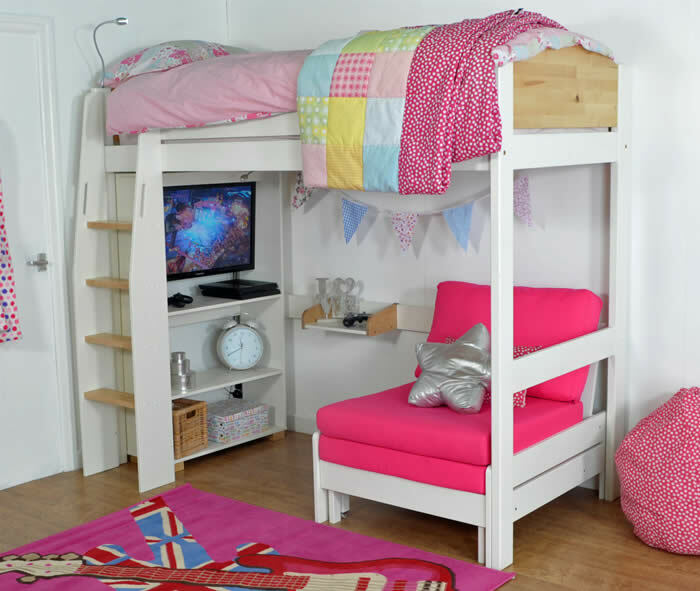 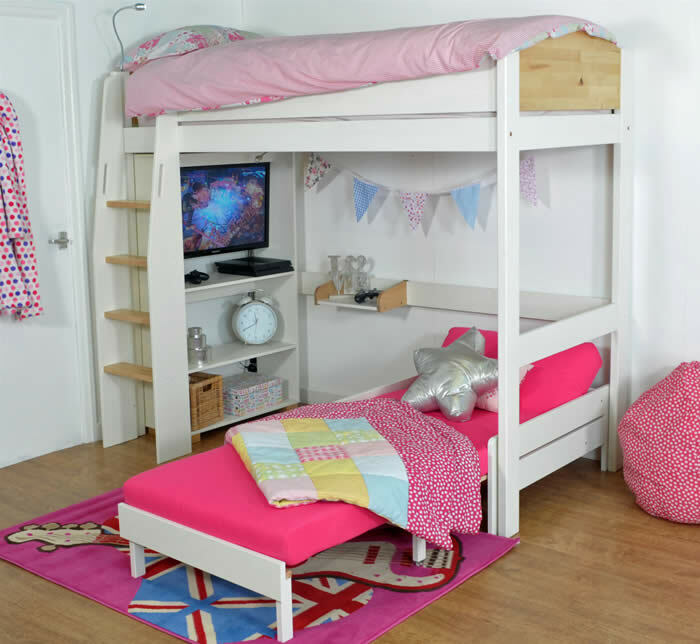 The Kids Avenue Urban high sleeper bed set 3 in a white pine and natural birch finish includes a high shelving unit and pull out 2 meter chair bed to accommodate guests. 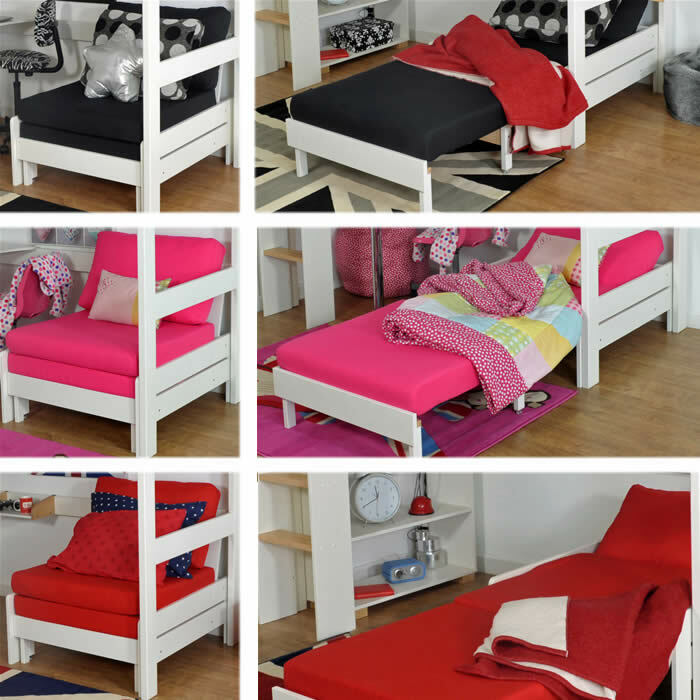 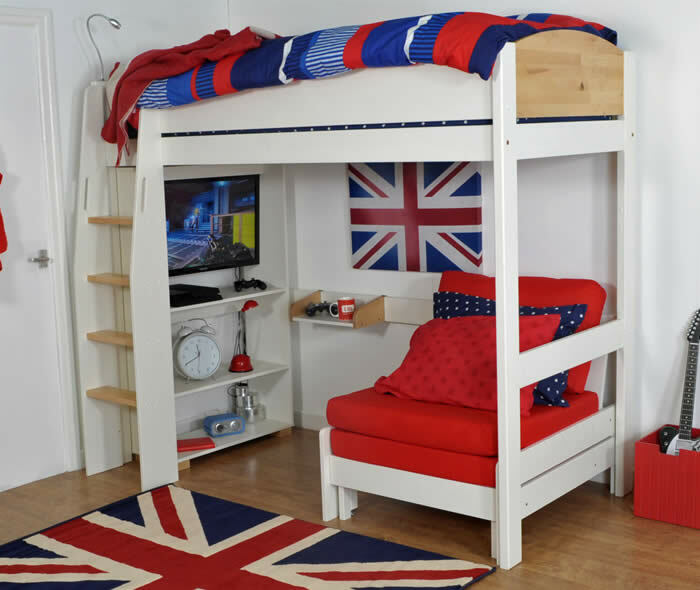 Made from solid pine in a white and natural birch finish the Urban high sleeper bed features a reversible ladder which can be positioned to the front left or right sides of the bed. 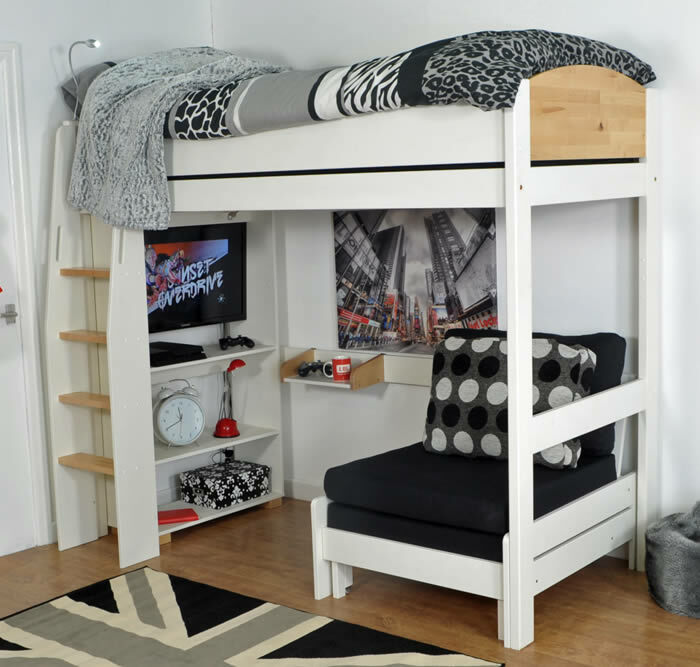 The high shelving unit positioned behind the steps offers a solid back to each of the 4 steps whilst also offering protection for a flat screen TV if mounted under the bed on the provided support bar. 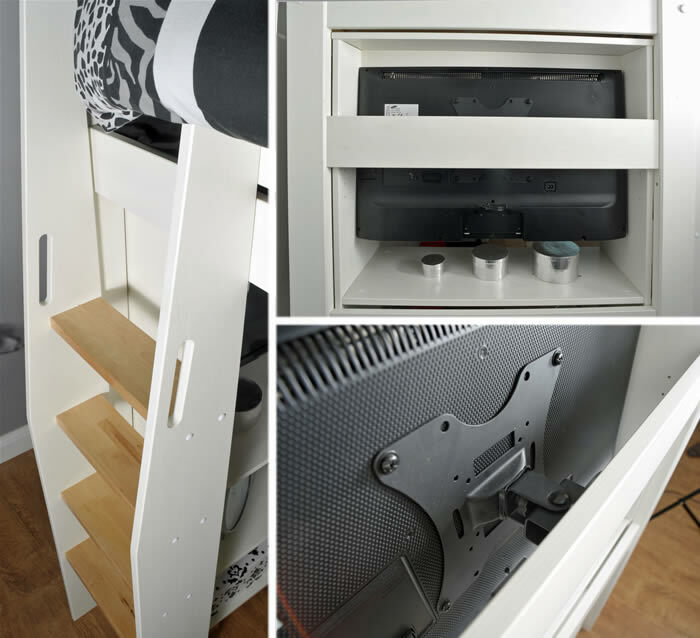 The Urban high sleeper TV support bar has a maximum load capacity of 12kg in total for both your flat screen TV and TV to wall bracket.